Welcome to the Official Webpage of "Santa's Studio at Belmont"
Your whole family can get photographed with Santa in his custom built Sleigh! Since 2010, Santa's Studio at Belmont has been providing our guests with the most unique Santa Experience (TM) and Studio Quality Photos available in Brisbane. 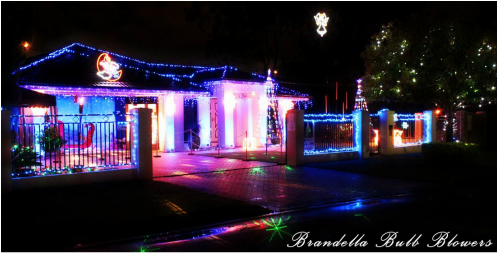 We are situated in the cosy cul-de-sac Brandella Place in Belmont Brisbane and we are part of the Neighbourhood Christmas Lights display known as the "Brandella Bulblowers" that operates nightly throughout December. For 11 months of the year our Studio is home to LoddiPots Photography - a professional Photography Studio in the leafy suburb of Belmont Brisbane. However, every December our studio is transformed into a winter wonderland complete with Toy Soldiers, Snow, Santa and his Giant Sleigh! Over the last eight years we have made our Christmas Lights more interactive by incorporating our professionally built photographic studio into our Christmas Display. We participated in the Christmas Lights Display every Christmas for 14 years and have enjoyed the smiles and compliments from the many tens of thousands of people that have passed by our front door during this time. We have Santa visiting nightly during the Christmas Light Competition, with visitors having the opportunity to have their photograph taken with Santa in his giant custom built sleigh. Our photographs are printed onsite and downloaded onto hi-quality USB Media so our customers can take the photos home with them straight away and make as many prints as desired at a quality photo lab. 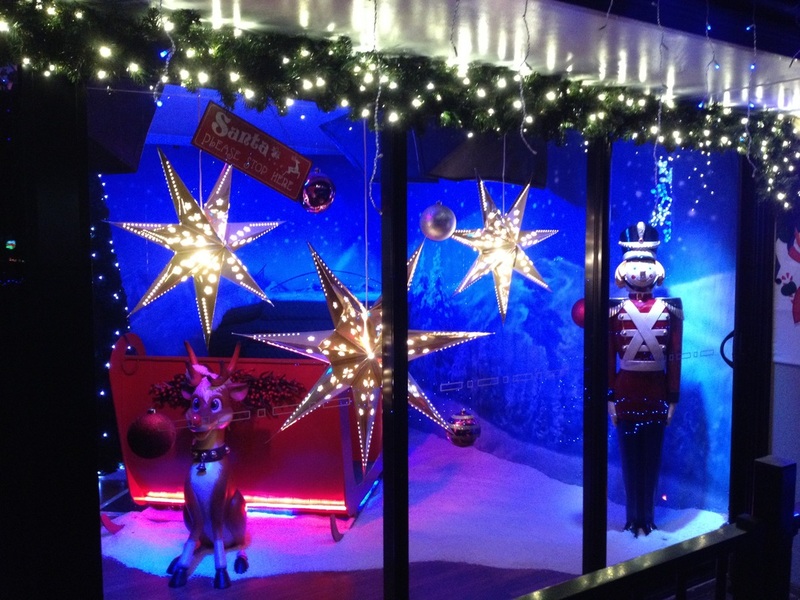 Our Custom Santa Studio - built into our Christmas Light Display in the beautiful suburb of Belmont. Our Santa Studio is a fully equipped custom built professional photographic Studio. Complete with a custom handmade Santa Sleigh, real snow and professional studio lighting, our studio has been designed not only to look magical for the children but it also works as a fully functioning professional studio environment all year round, specialising in maternity, newborn, children and family photography.